A3 thinking is well known in the Lean community as a process for solving organizational problems, but did you realize that it can be a powerful process for personal development and leadership coaching as well? 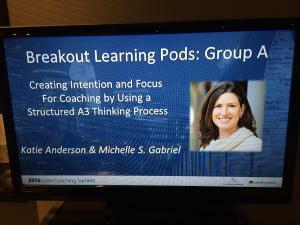 How to use A3 thinking as a coaching tool for developing leaders was the topic of a breakout session I led at last month’s 5th annual Lean Coaching Summit. Missed the Lean Coaching Summit? Click here to receive a free copy of A3 coaching guide that we created for the Lean Coaching Summit! This post is intended as an overview of the personal improvement A3 process. 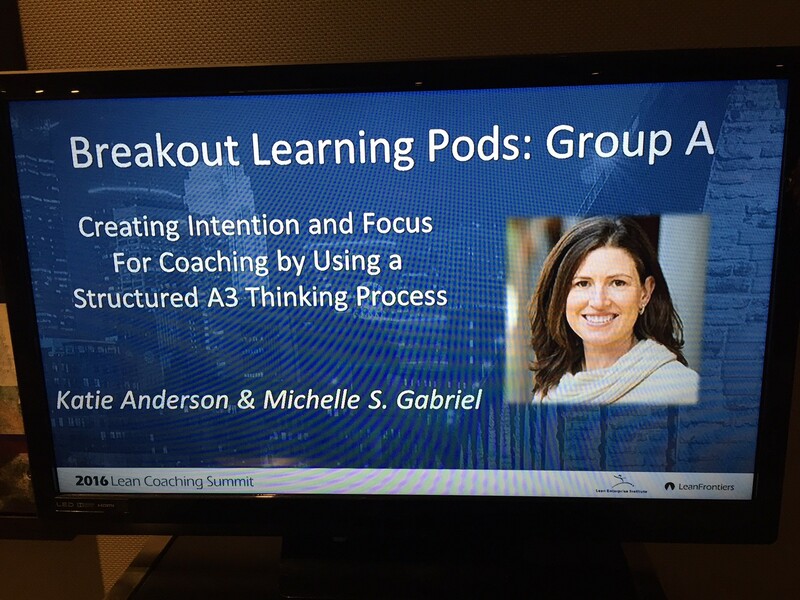 For this year’s Lean Coaching Summit, I asked my client and friend Michelle Gabriel to co-present a breakout session with me to dive deeper into the Summit’s theme of “preparation”. We shared how using A3 thinking can help you as a coach not only prepare for coaching sessions, but also how the process can better prepare your learner for improvement by increasing their awareness, intention and ownership of their personal leadership development plan. My intention here is to share some of the key points from our presentation so that you too can continue to practice and deeper your skills as a leader and coach by using A3 thinking for personal development. 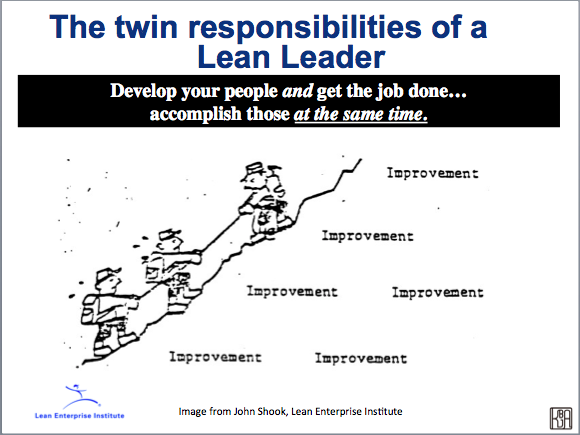 There has been a lot of dialogue in the Lean community about A3 thinking in the past month following two articles that John Shook wrote in the Lean Post with and about his first Toyota manager and mentor (and now mine), Mr. Isao Yoshino. I was inspired by these articles and shared some of my reflections based on prior conversations with Mr. Yoshino in my most recent blog post. 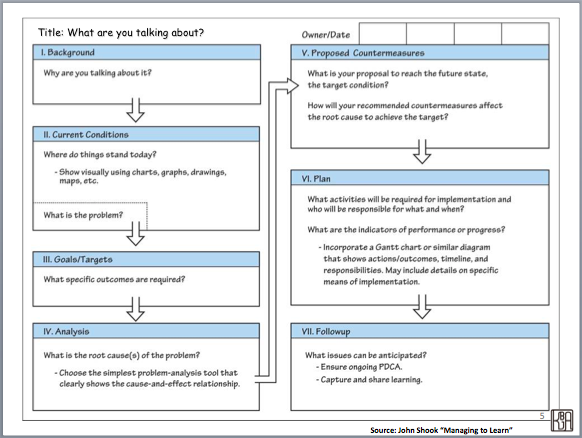 Made popular by Toyota in Japan as a way to concisely walk through the critical problem solving steps required to identify and understand a problem and its root causes, and then identify countermeasures and experiments to close the gap between the target and what is happening today. A3 thinking is a skill that can help leaders not only solve organizational problems and create the foundation of a management system that develops a culture of coaching and problem solving through the structured conversations that occur as part of the A3 development process. The same A3 thinking process is also one that can help leaders bring greater awareness to their own actions and habits in service to creating an organization filled with problem solvers. 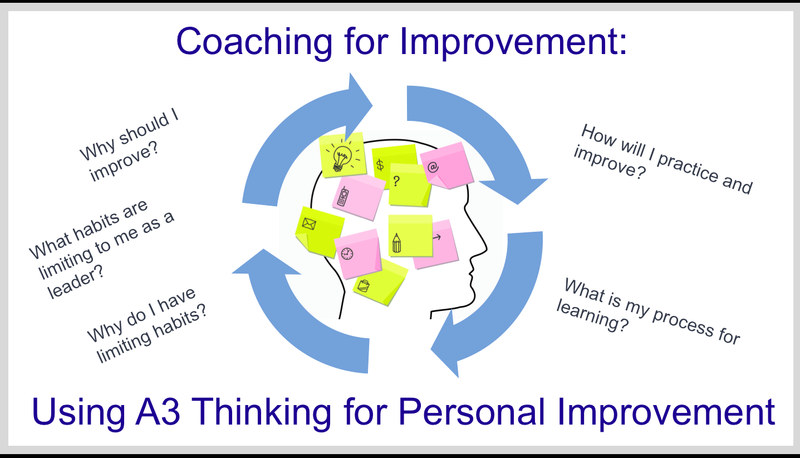 When using A3 thinking for personal improvement, the process is the same as a typical problem solving A3 flow, but the questions are focused inward on the individual. If a leader is willing to accept the hypothesis that “I am a condition in my organization that requires improvement”, using A3 thinking as a process can be a powerful one. Why should I improve myself as a leader / coach who creates an organization filled with problem solvers? What habits and actions do I currently take today (both strengths and limitations)? What are the outcomes of my actions? What does a little bit better look like for ME? What are the reasons for my current habits and actions? What experiments will I try on myself? Click here to get a free copy of the personal A3 coaching guide to help you prepare for and coach your learners through the A3 process for leadership development. Why should I improve myself as a leader or coach? This image is often used as the “anchor” to what it means to be a Lean Leader: getting the job done and developing people – at the same time. In my experience, many organizations find it easier (especially initially) to focus on the first aspect of the role of a Lean Leader: “getting the job done”. Senior leaders may decided their organization should undergo a “Lean transformation” to achieve business goals, “to get the job done”. Perhaps they see Lean as a set tools and production principles to improve processes – or this is easier to focus on initially. And initially, improvement is often done “off line” through “kaizen events” or other projects, outside of daily work, rather than imbedded as part of daily improvement and leadership behaviors. Achieving business objectives and delivering value to customers is an essential aspect of Lean, but it has to be coupled with developing people as problem solvers at all levels to achieve those business objectives – at the same time. Leading daily improvement through people development is an essential skill and habit for leaders to develop. It can be harder to figure out how to develop people – and certainly how to develop people as part of the actual daily work. But without this critical aspect Lean leadership practiced by all leaders, we really won’t see a successful Lean transformation of creating an organization filled with problem solvers. This emphasis on people development as a means to achieve daily business objectives is one that I saw across my visits to Lean thinking Japanese organizations over the past 18 months – not just Toyota or Toyota’s hospital, but many others (such as this electrical supply manufacturer and this office service manufacturer). An organizational Lean transformation is all about how each of us show up differently as leaders in service to this goal of “getting the job done” and “developing people” at the same time. 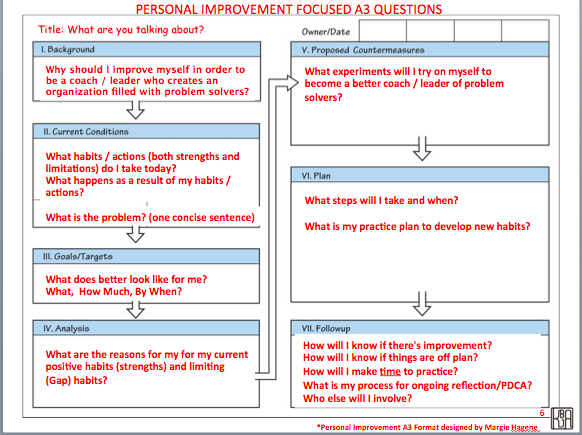 The personal improvement A3 process is one way I have found success in helping leaders look at their own actions and help them create a clear plan for practice and improvement. We need to look at how we are creating strong habits that support our intention of how we want to lead and coach others. Are our actions and behaviors in line with the problem solving and respectful culture we want to create? Most of us, and the people we are coaching, have some knowledge of what it means to be a “Lean leader”. 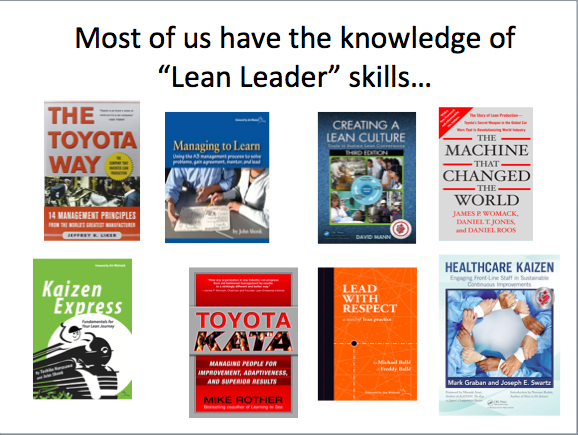 We could be new to Lean and just gaining knowledge, or have been practicing these skills for many years. 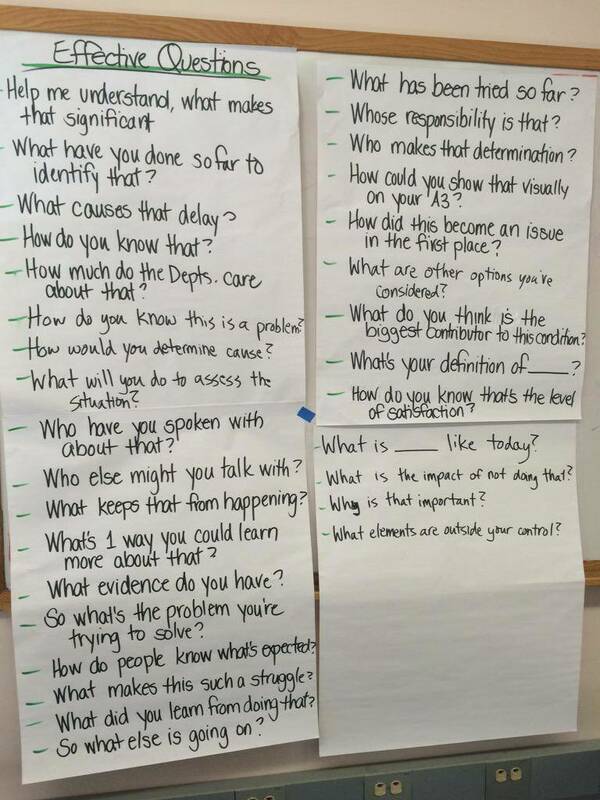 Some of these essential Lean leader skills include: asking effective questions, listening, and supporting daily improvement at all levels. But do we always put our knowledge and skills into practice? While we might have knowledge of how we should behave as leaders, we might not always be in the habit of practicing these skills every day. 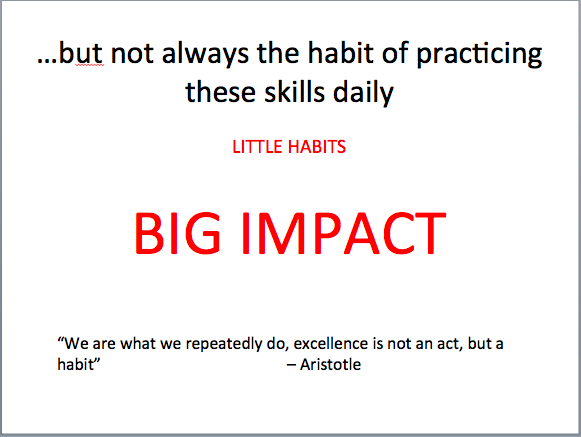 Or may have some limiting habits that get in our way of putting our knowledge and skills of Lean leadership in place every day. For example, a leader may know that asking open-ended questions of inquiry is important, and even demonstrates skill in asking questions in 1-1 meetings, but when going out to the workplace (e.g. for a “gemba” walk, for example) may have the habit of telling everyone what to do are what “I think you should do….”. Focusing on how to create skills and develop habits is a critical part of leadership development. Going through an A3 process focused on yourself (or as a coach helping someone go through the process) can help accelerate the creation of better leadership habits by identifying gaps in skills and putting a plan in place for getting a little bit better every day. Coaching someone through the A3 process to create their own personal improvement plan also allows an opportunity for you as the coach to model Lean leadership skills (asking effective questions, A3 dialogue, listening, etc.) for the learner while reviewing and advancing the A3. 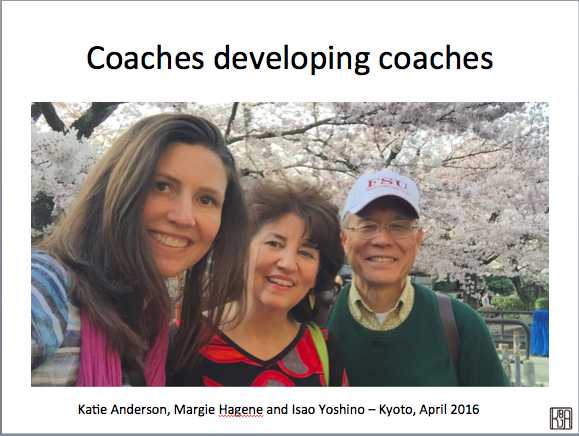 I want to acknowledge my own professional coach and friend Margie Hagene, who introduced the application of A3 thinking to leadership development to me four years ago. Using this process personally has made me a better coach. By answering these questions deeply for myself, I have continued to hone in on what skills and habits I need to keep improving. I am more intentional about how I show up and how I am improving every day as a coach and leader. I use this process in a majority of my coaching relationships, as highlighted in Michelle’s story of improvement at the Coaching Summit. In subsequent posts, I’ll share in more detail how you can coach your learner through each part of the A3 flow for personal development. You can also get the coaching guide we created to support the personal A3 process by clicking here. Have you tried using a personal improvement A3 process as either a coach or for yourself personally? What has been your experience? Please share your thoughts and questions below.